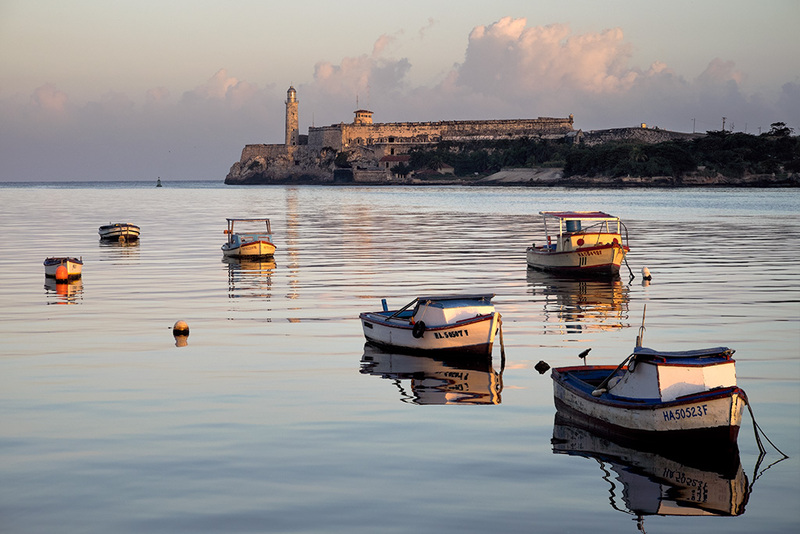 A favorite spot in Havana along the Malecon with Morro Castle is in the background. The Castle was opened in 1589 to guard the entrance of Havana Bay. Always rewarding to capture first light and its rays of hope awaiting the new day. The historical remaining presence of Morro Castle, still standing guard, reflecting in the water and boats anchored in procession… You witnessed and captured quite the moment JB! WOW!! Great shot. I like how everything is in alignment leading away from the castle.